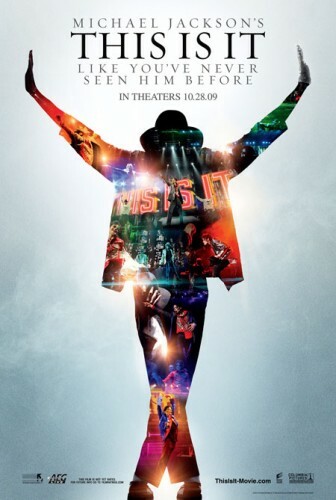 MJ's movie premieres tonight in the US and in France. According to movie tickets website Fandango, 61% of all its tickets sales in the last 2 weeks are for "This Is It", and over 1,000 showtimes for the flick are already sold-out in the US. The always highly anticipated yearly presentation by Mary Meeker is embedded hereunder. Key themes: The Return of the Economy, the Mobile Internet revolution. In this edition of "Ecommerce Know-How", Kevin Patrick Allen from Practical Ecommerce shares three roles the owner and de facto social media director of an ecommerce company can play and how, by incorporating those practices within his business, he can better reach the new age of consumers online. 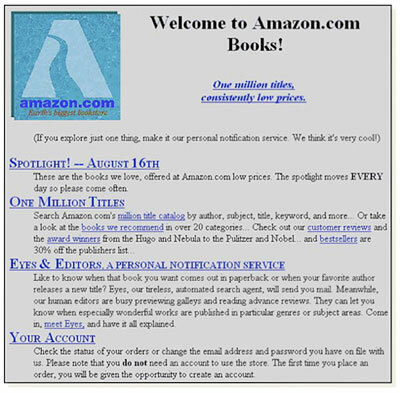 Cool post from the GetElastic Blog, showing early e-commerce websites designs in the late '90s. From Techcrunch Europe, an update on private shopping clubs in the US (a.k.a. closed-community shopping websites), on the interest from e-commerce power players on this awesome business model... and on the mother of all private shopping clubs, Vente Privée. "TechCrunch Europe thus understands, from some very good sources, that Gilt, Amazon and eBay are all actively looking at acquisitions in the European private shopping club space. The price for Vente Privée alone is being talked about in terms of a $1.5 billion sale. Some sources even put the figure at between $2 billion and $4 billion. 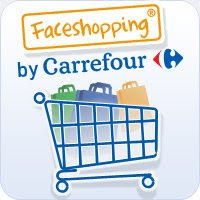 Here's a little social commerce app we designed and launched at Publicis K4 for Carrefour, the #2 retailer in the world. It's called "Faceshopping" and it offers daily shopping deals for Facebook members only. Launched on September 22nd, it is the first application of its kind. All of your comments and ideas are welcome, so we can make it better over time. Awesome online coupon website RetailMeNot, from the fine people at Stateless Systems, just released the results of its survey on consumer couponing habits. - and much more... read all about it here. View more documents from Michael S. Levy. Update : A little bonus : Screencast of the Facebook Connect Magento Extension !